I really really really like the orange dress. The cape is totally enchanting. I don’t know how I missed this one, but it’s great. I really love the little blue jacket. It’s a regency marisole. it’s SO cute. I love it. May favorite era is the Regency. Umm…. How do you put the red hat on? The same way you do with all the hats that don’t have tabs. Create a backing piece and paste it to the edges. 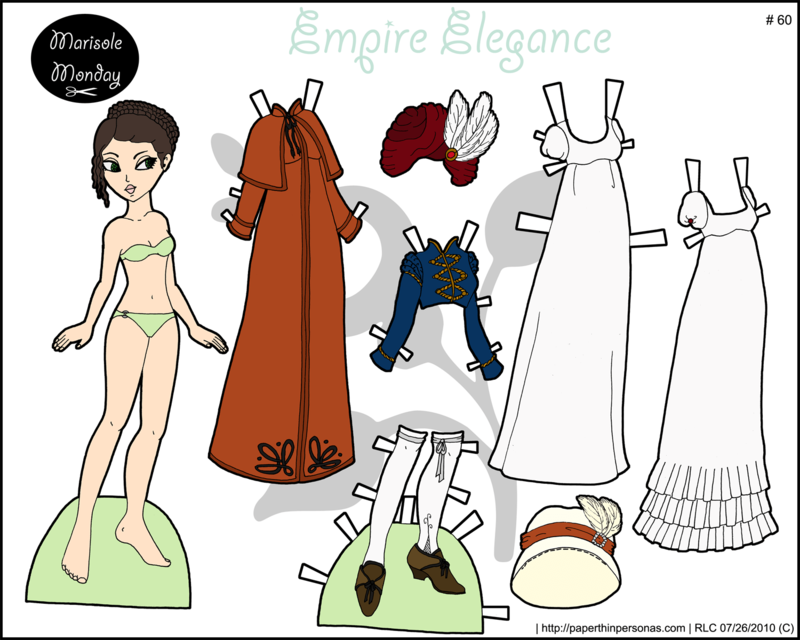 In some of the earlier paper dolls, I didn’t include backing pieces. Full instructions can be found in the FAQ.